Check out the most recent Cooking Matters news! Spring Event & Summer Jobs from Cooking Matters! 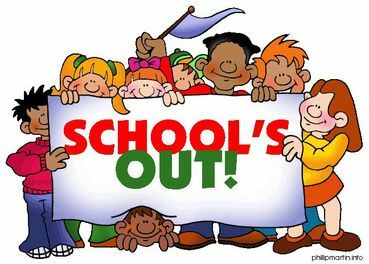 May 6, 10:00 a.m. - 1:00 p.m. Please Join Us in Celebrating Our Cooking Matters Volunteers! Join us for a Volunteer Appreciation Brunch! 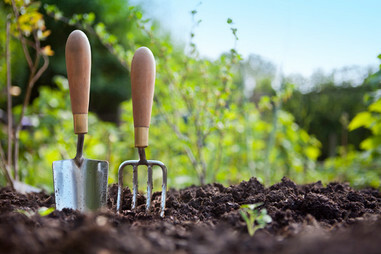 Saturday, May 6, 10:00 a.m. - 1:00 p.m.
For those who would like, there will be an opportunity to work in the garden preparing the space for new growth. This is a family friendly event, so feel free to bring the whole crew! *Fun, indoor activities planned in the event of rain. Contact Carolyn at csagi@gcfb.org, or 313-580-9822 with any questions, or to RSVP. Picture from the National Association of Letter Carriers. 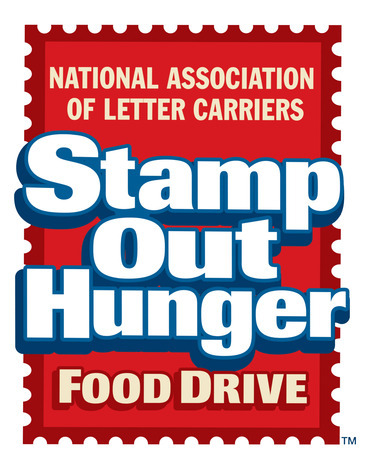 This year the National Association of Letter Carriers celebrates the Stamp Out Hunger Food Drive's 25th Anniversary! This event is the largest one-day food drive in the United States, and provides millions of pounds of food a year to those suffering from food insecurity. It's easy to participate! Simply place a bag of non perishables that you would like to donate on your doorstep before 9 am the day of May 13th, and your Mail Carrier will deliver these items to Gleaners Community Food Bank. For more information on this event and how you can participate, visit the Gleaners Community Food Bank website. The Cooking Matters Team at Gleaners Community Food Bank has been working hard on the new Cooking Matters Michigan website! This website will be a resource for Cooking Matters Statewide. -A map of upcoming classes. -Links to the list of classes that need each volunteer position. The Cooking Matters Michigan BLOG will continue to be updated for a few weeks as we transition fully to the new site. Check it out, and let us know what you think! Contact Carolyn with questions, comments, concerns, or to sign up for class: 313-923-3535 x 257, 313-580-9822, or csagi@gcfb.org. Cooking Matters In the News! This month, Amy Andrews of FOX 2 News joined Cooking Matters' own Klair Urbin during Double Your Donation Day. 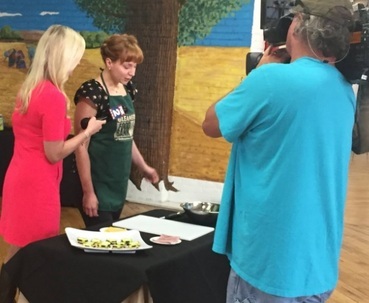 Klair prepared Cucumber Sammies for FOX 2 viewers during a Cooking Matters feature. Those who have made Cucumber Sammies before know it is a fun snack that is easy for both adults and kids to prepare. It is also a healthy and inexpensive way to encourage children to try new things and add more veggies to their plate. Double Your Donation Day helps support programming like Cooking Matters, and all the great work of Gleaners Community Food Bank. Thank you to FOX 2 News for coming by and cooking with us! "The class made me more aware of my need to eat nutritiously and keep up with what is on food labels". Fueling up with the Lions! 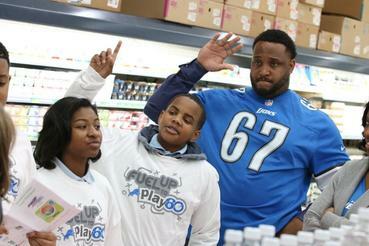 The Detroit Lions recently teamed up with local area schools to focus on nutrition and physical activity. The program, Fuel up to Play 60, teaches students how to stay active and eat right to make the most out of their day. Several schools within the Metro Detroit area are currently enrolled in the program, including Chrysler Elementary School, Henry Ford Academy, Stewart Elementary School, and Pierce Middle School. Schools that are part of the program are paired up with their local NFL team, all 32 of which are involved, and together they participate in lessons focused on healthy living. Several of our Cooking Matters team members were involved this year, including Rebecca Blauw, Brittney Rooney, Selena Goss, and Mariela Cruz. Participating groups got to play together and learn about healthy eating. Our Cooking Matters team helped by demonstrating our Sugar Overload activity, and making the Banana Crunch recipe with the kids. The Fuel up to Play 60 lesson raises some questions from our participants. 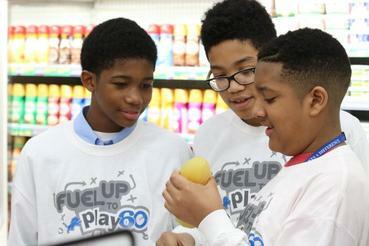 For more information on Fuel up to play 60 and how you can get involved, click here. 3. Rinse berries and pat dry. 4. Spray baking dish with non-stick cooking spray. Place the banana halves flat side down in the baking dish. 5. Toss berries with 1 Tablespoon flour. Sprinkle berries over the bananas. 6. In a medium bowl, add 4 Tablespoons flour, oats, sugar, and spices. Stir to blend. 9. 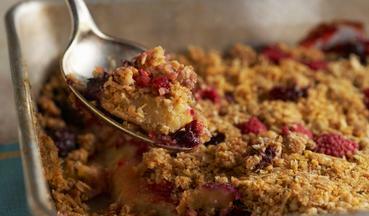 Bake about 10–15 minutes, or until the crumble is firm and golden in color. 10. While crumble bakes, stir together yogurt and honey in a small bowl to create a lighter, healthier, and delicious topping. 11. When crumble is done, spoon 1 Tablespoon of the yogurt and honey topping over each serving. Zac is a Senior in the Integrative Studies Program at Oakland University, and will be graduating this May. Congratulations, Zac! Zac is also a Personal Trainer who is interested in the part Nutrition plays in a healthy lifestyle. He volunteers with the Cooking Matters Program as a Classroom Assistant. As part of the Capstone to his Integrative Studies program, Zac was asked to serve as a volunteer. Ideally, he needed to find an opportunity that incorporated his interests and academic concentrations. When he met with his advisor, Zac mentioned his concern that while food is an essential part of life, many people do not have access to excellent nutrition information that is both approachable, and actionable. Zac's faculty advisor suggested he reach out to the Cooking Matters Program. Zac has been an enthusiastic volunteer since that time, and even wrote a paper that incorporates his experiences with Cooking Matters. 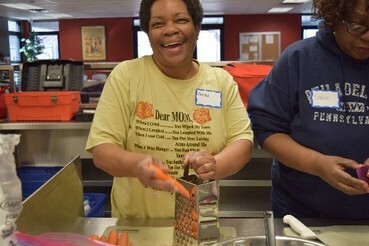 What is your favorite part of volunteering with the Cooking Matters Program? Zac enjoys the people he's met through Cooking Matters. He also likes the learner-centered instructional approach used in Cooking Matters classes. He appreciates that instruction is an evolving, two-way conversation that gives Participants the opportunity to talk openly about the barriers they have to healthier eating. "It's not a teacher talking to a student, ... Participants aren't being talked over." Zac also likes the safe space created in the Cooking Matters Classroom. He believes that space allows Participants to share their experiences and challenges, and helps them make change. "We're not pointing fingers about what's bad, but letting Participants know what's healthier, and what might not be the best choice." Zac's favorite part of Cooking Matters is the hands-on nutrition. Specifically, he thinks Sugar Overload and Blubber Burger are powerful classroom tools. He enjoys watching Participants's reactions to those activities; saying "That's where it clicks for them." Zac has family all over the country. In his spare time, he enjoys catching up with family members he doesn't see often enough. Summer Employment Opportunities with SFSP! Image care of clipartall.com and philipmartin.info. Food insecurity doesn't take a summer vacation. Children who participate in school-based nutrition programs during the school year still need access to additional meals during the summer months. SFSP offers children suffering from food insecurity supplemental nutrition while school is out of session. Children can visit special locations that provide needed meals during the summer months. Both of these positions are temporary (June through August) and will report to Debbie Smith. Each SFSP Monitor will be responsible for overseeing 15-20 community sites by routine visits throughout the summer. Each Meal Counter will be responsible for recording the daily participation for 8-10 community sites. The complete job descriptions for both positions can be found here. Interested candidates are to email Sheryl Stoddard at sstoddard@gcfb.org. Centro Familiar Cristiano UMC 1270 Waterman St. The Village of Harmony Manor 15050 Birwood St.
Henry Ford Centennial Library 16301 Michigan Ave. The full list of volunteer opportunities can always be found here.